You are at:Home»GA Addons»A2A Simulations Announce V-Tail Bonanza & More! 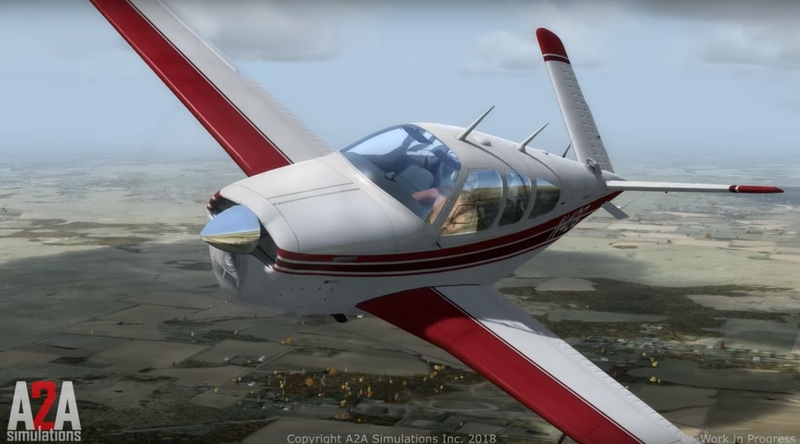 A2A Simulations has today announced the development of another classic General Aviation aircraft, the V-Tail Beechcraft Bonanza! In a development update, Scott from A2A spoke about what the development team had been up to for the last six months. Along with the announcement of the V-Tail Bonanza, Scott also touched upon another aircraft the team have in development, this section of the video was accompanied with a black screen with the sounds of an oxygen mask underneath the narration. In the video, he also talked about the company’s new website, along with the integration of a rewards program to “reward their most loyal customers”. Next Article Fly The Maddog X Version 1.1.0 Released!